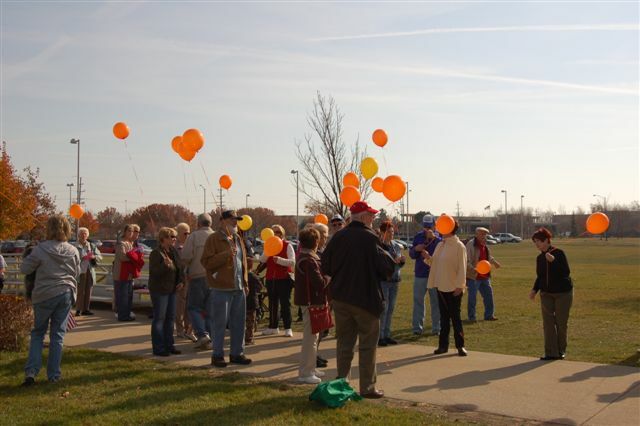 Many thanks to everyone that participated! 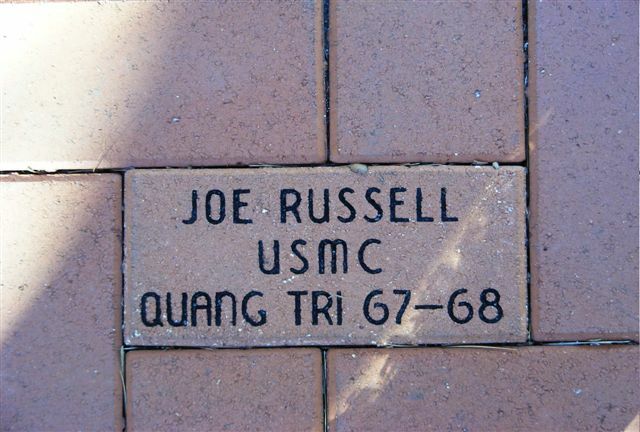 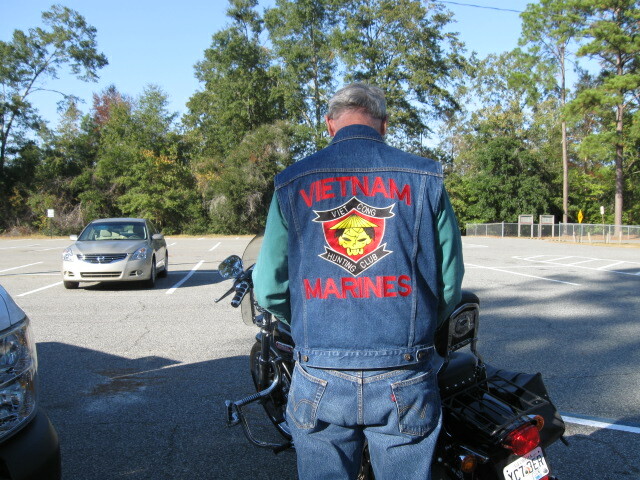 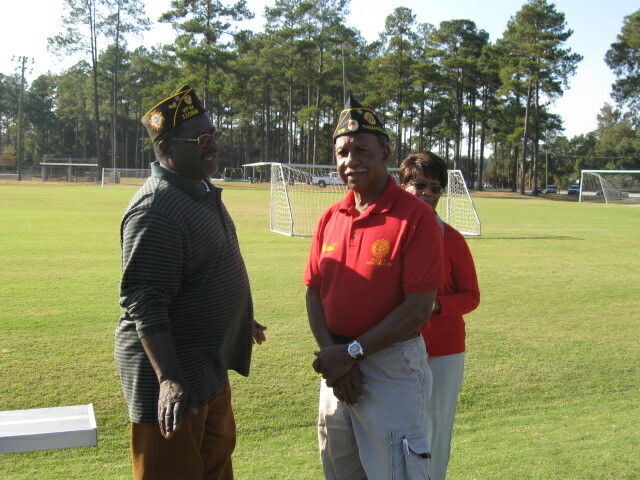 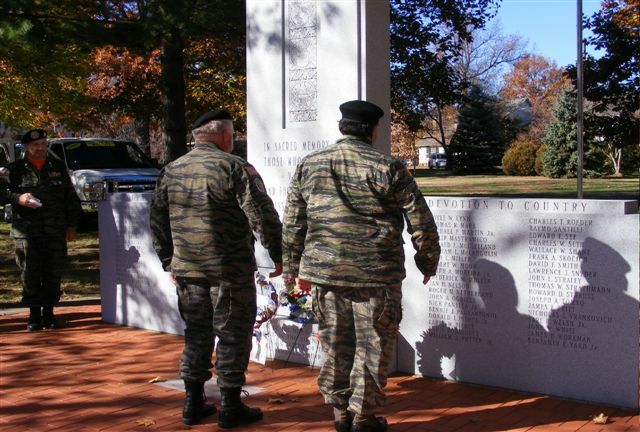 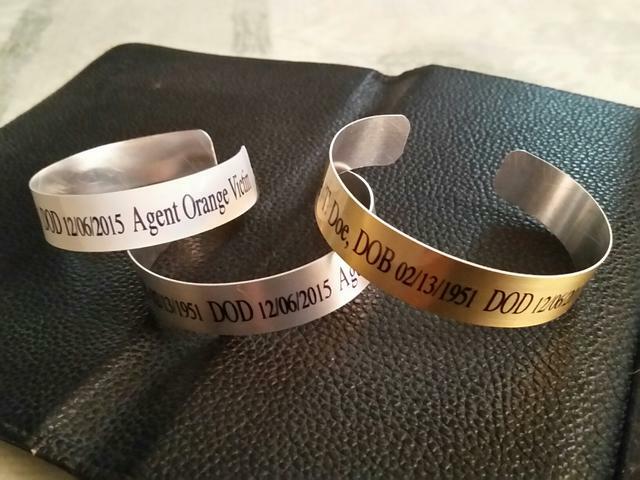 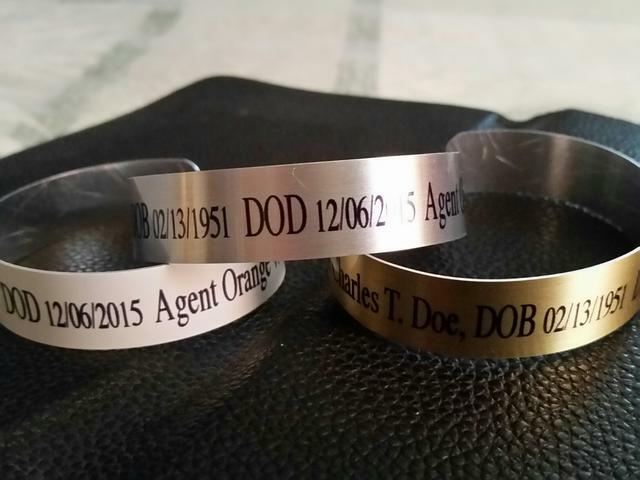 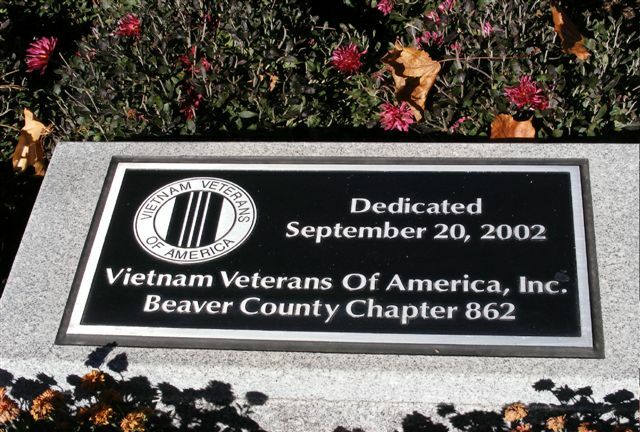 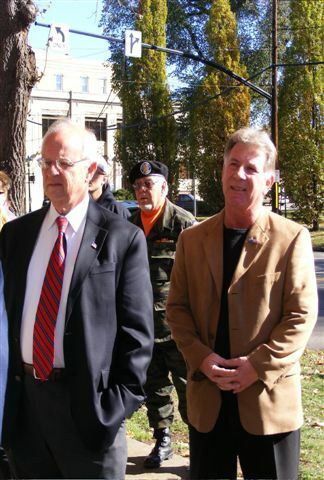 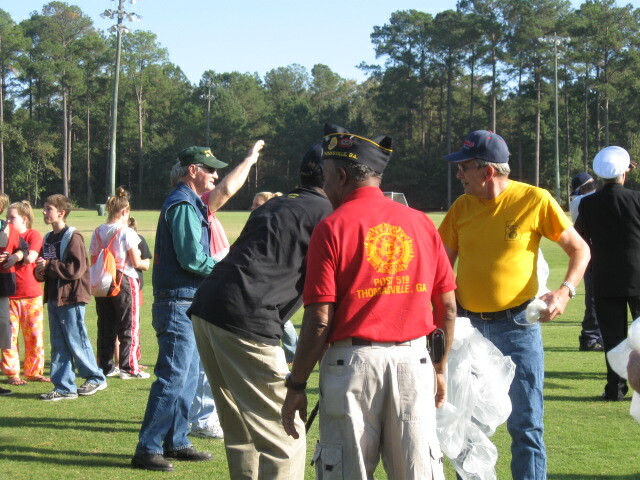 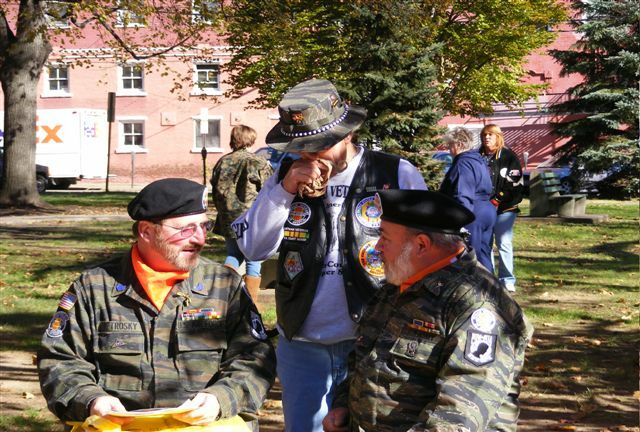 This week more Vietnam veterans are becoming eligible for disability benefits. 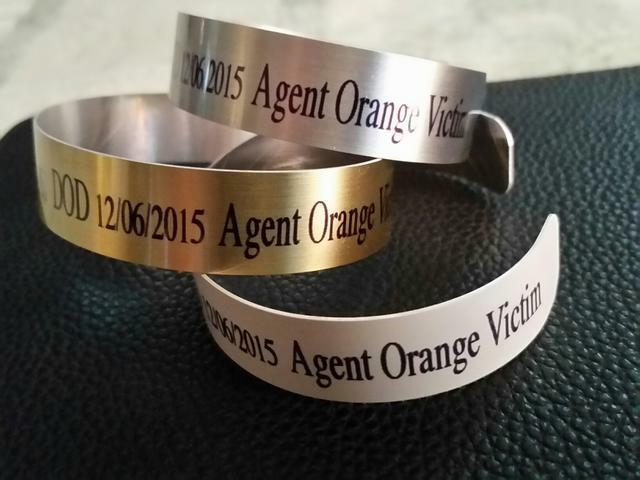 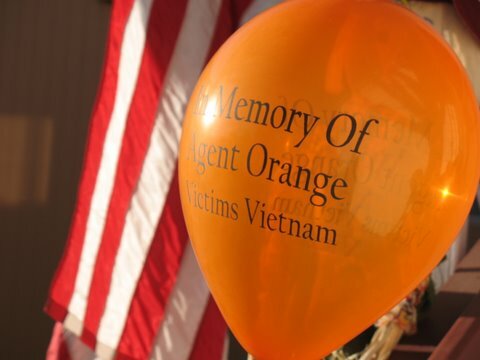 That’s because the U.S. government is expanding the list of diseases presumed to be caused by Agent Orange. 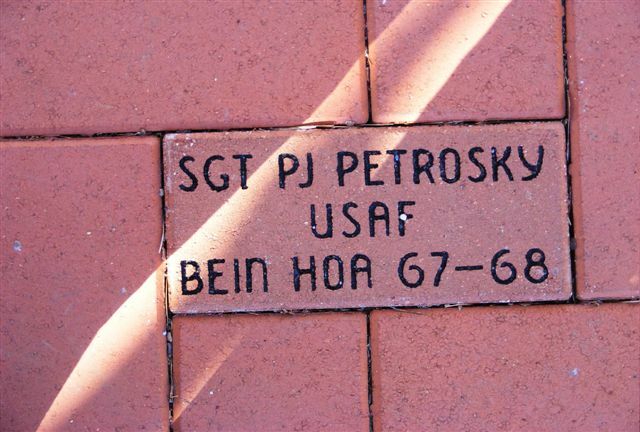 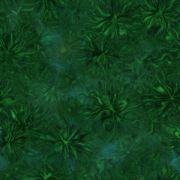 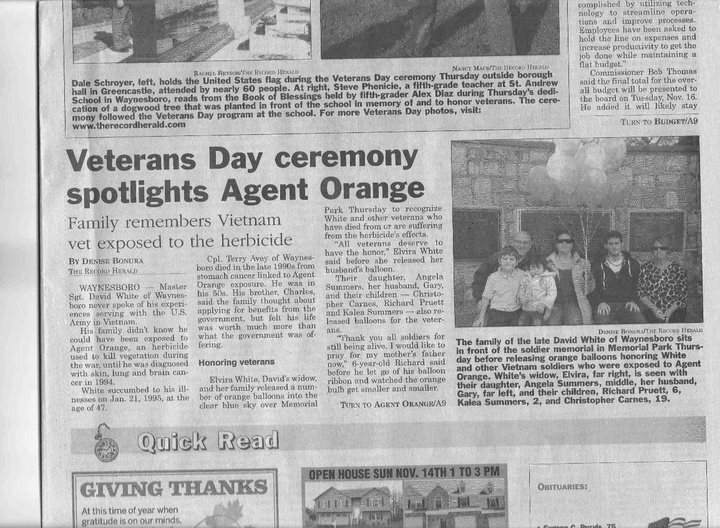 Those veterans continue to raise awareness about the chemical they say is killing those who served. 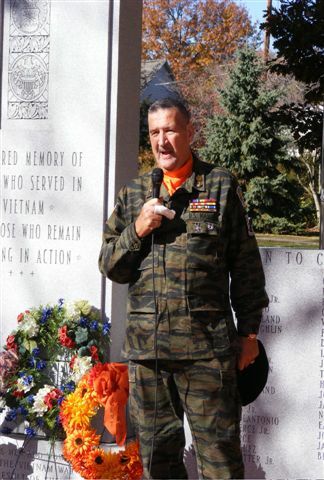 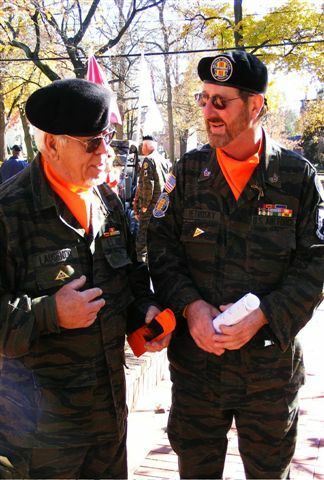 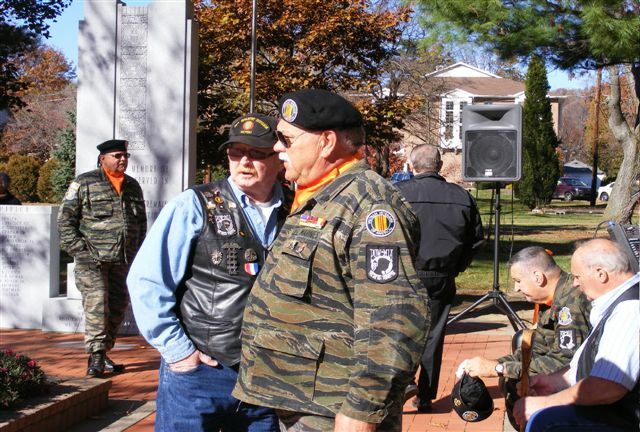 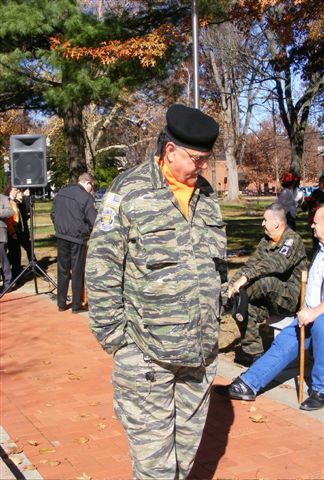 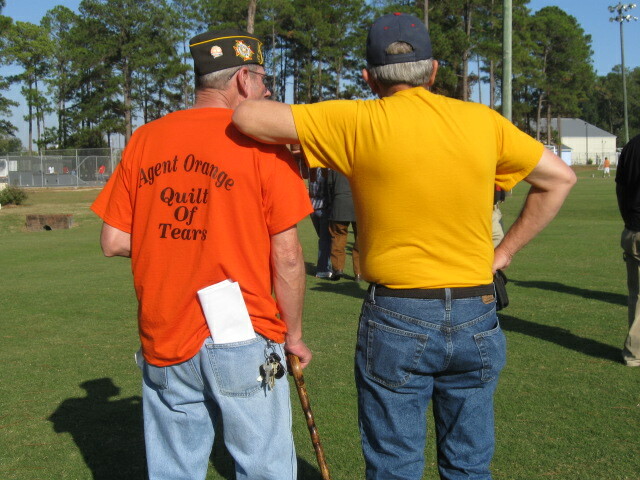 Orange quilts made by loved ones of Vietnam veterans who have been exposed to Agent Orange have provided a sort of support group for veterans. 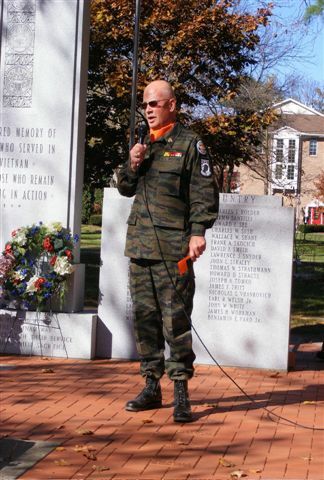 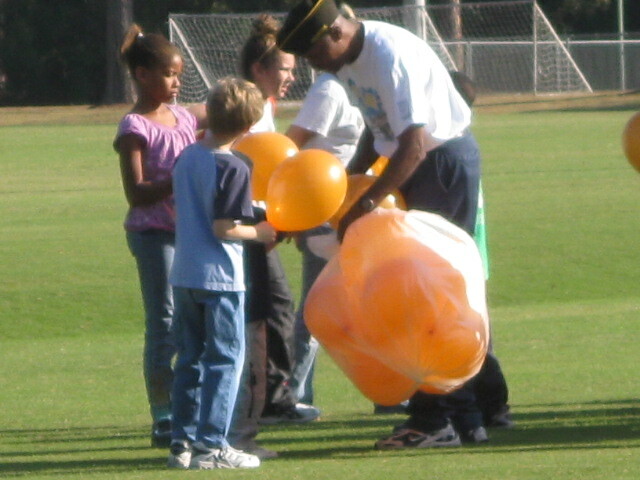 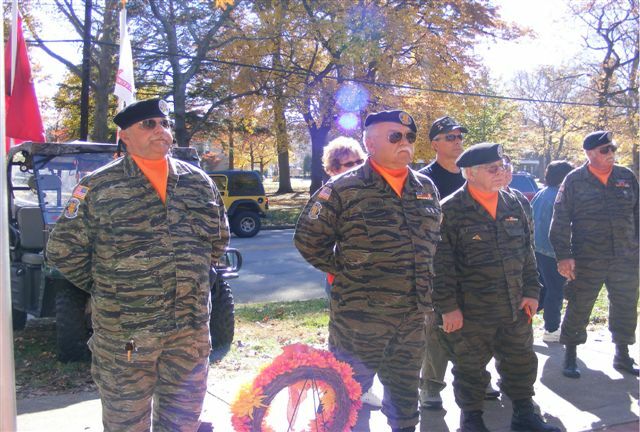 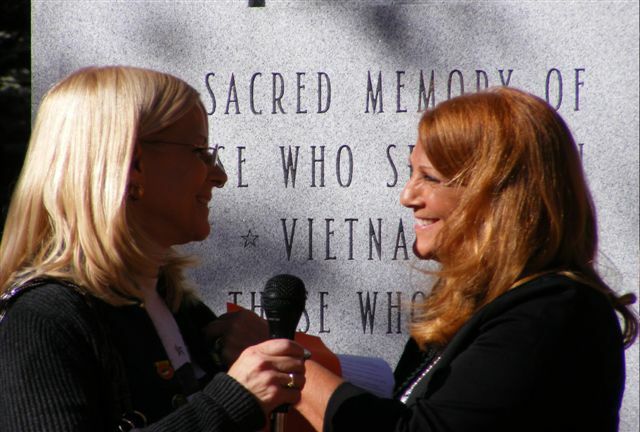 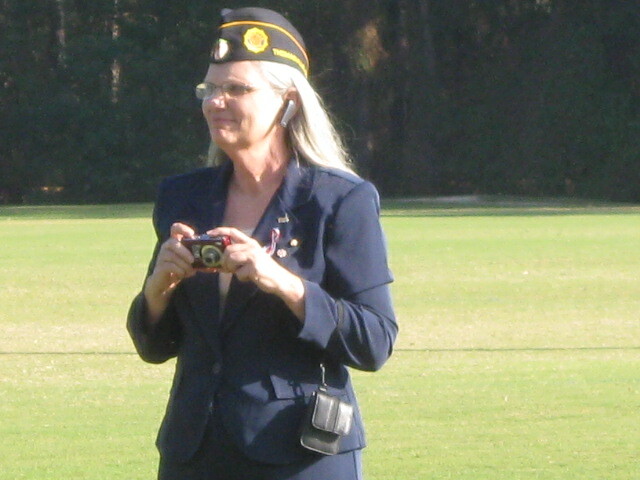 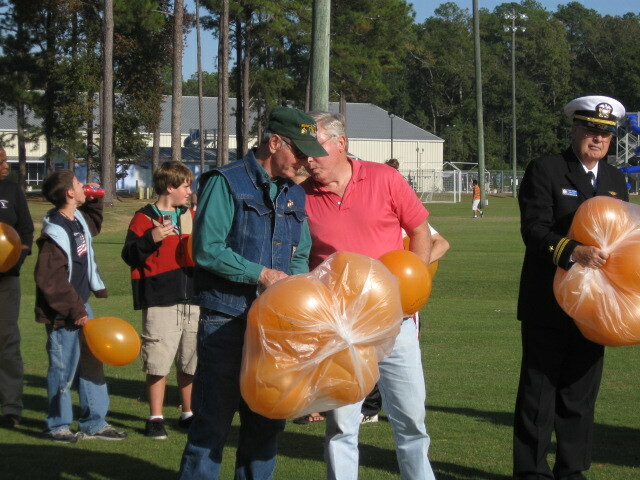 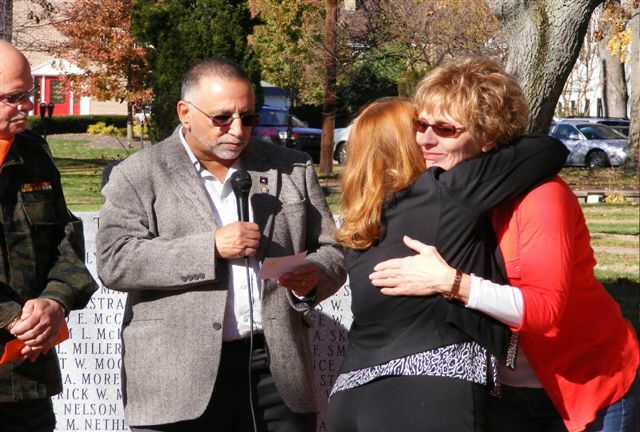 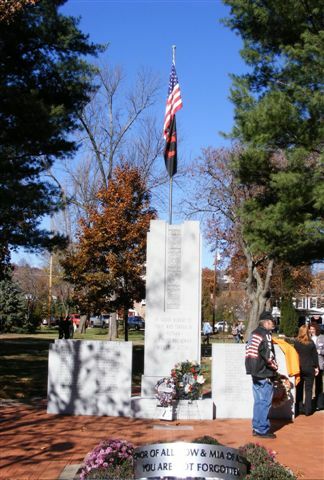 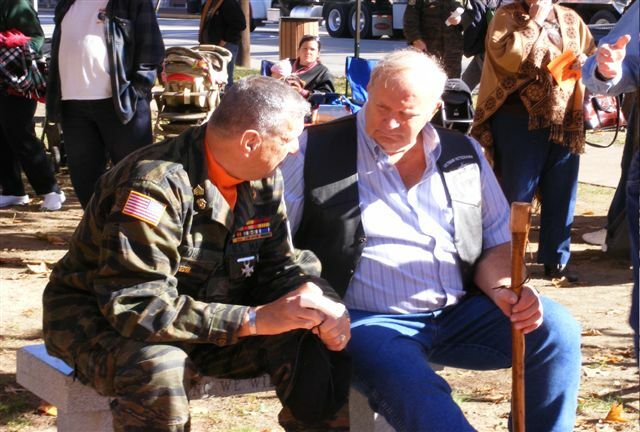 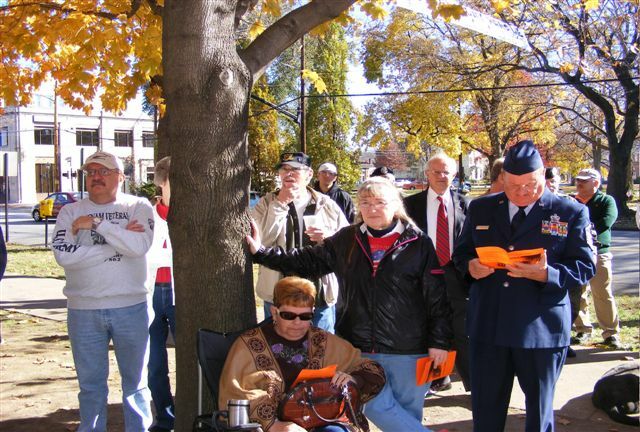 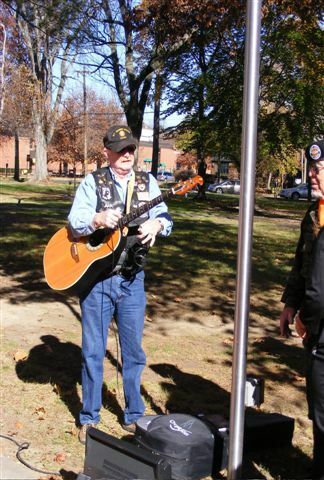 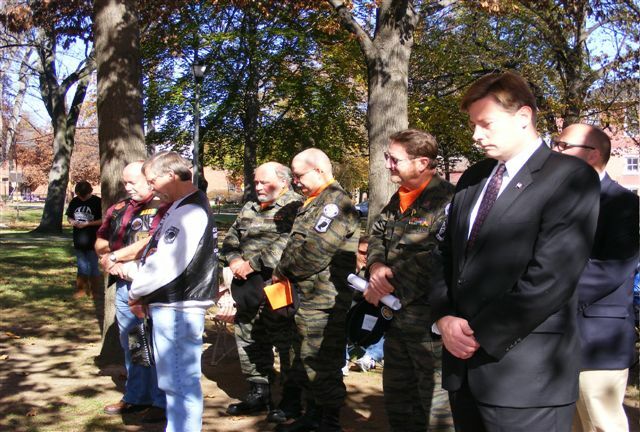 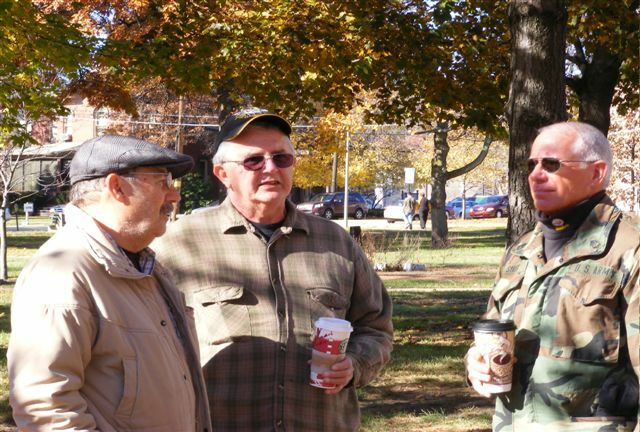 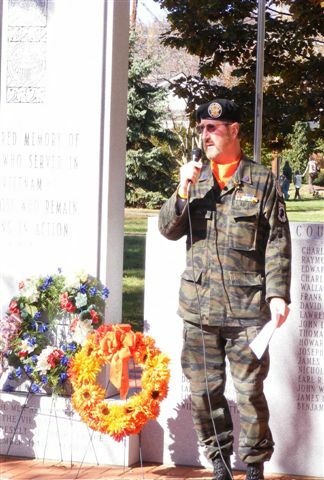 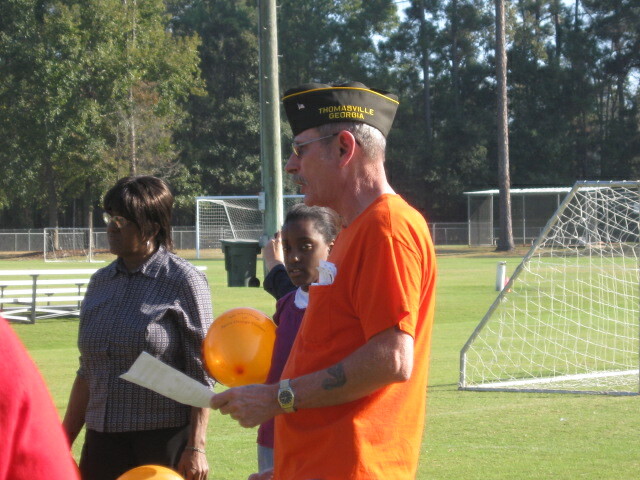 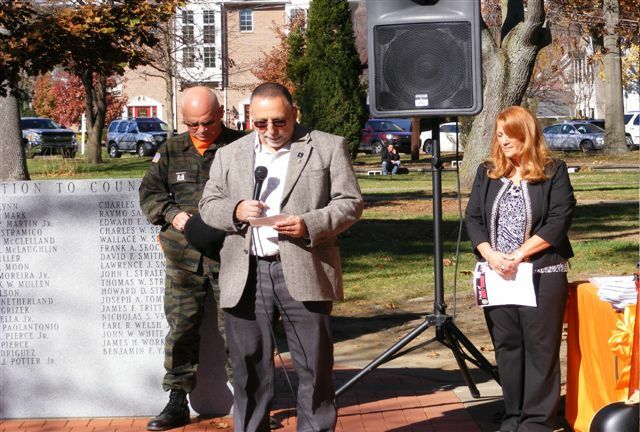 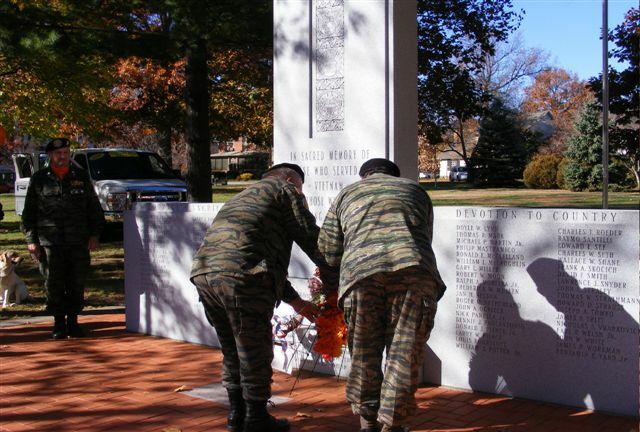 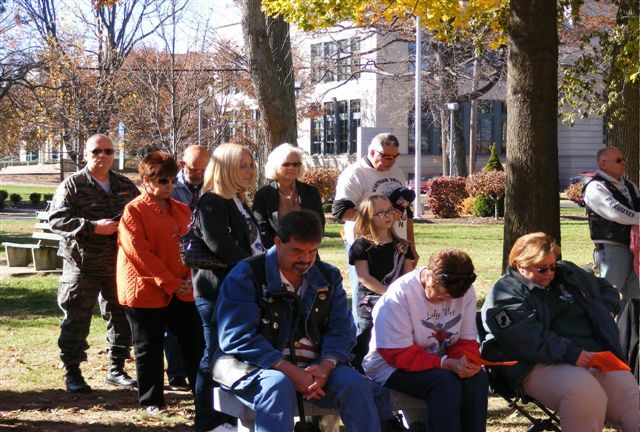 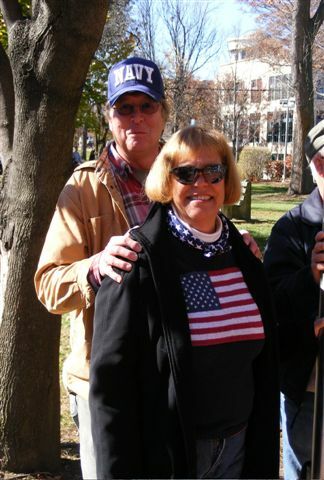 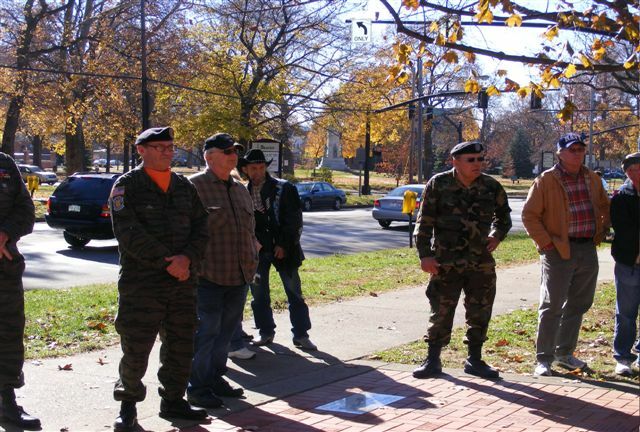 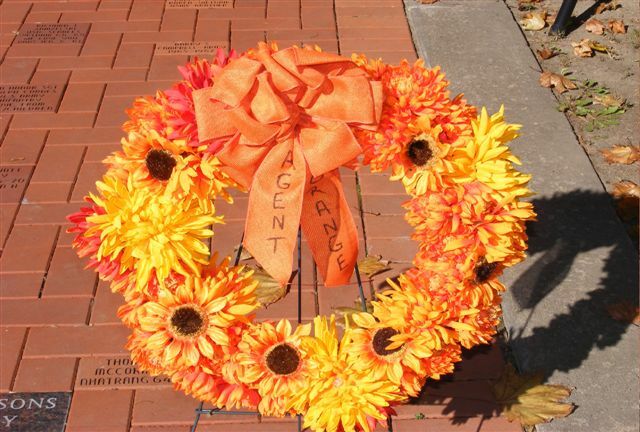 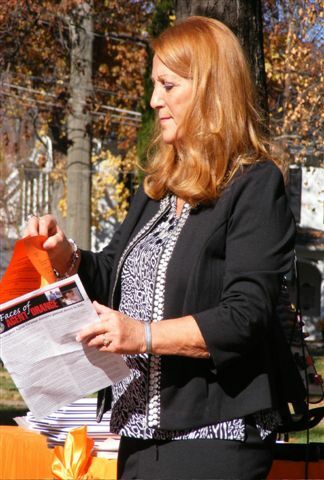 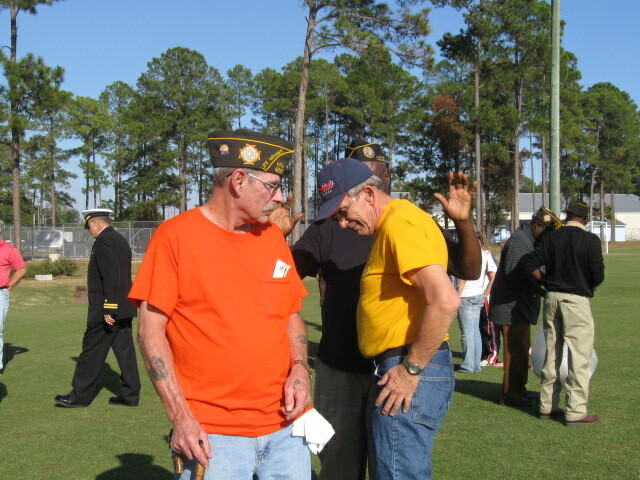 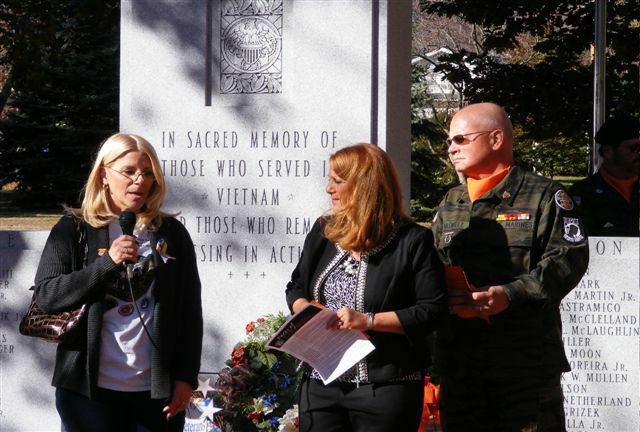 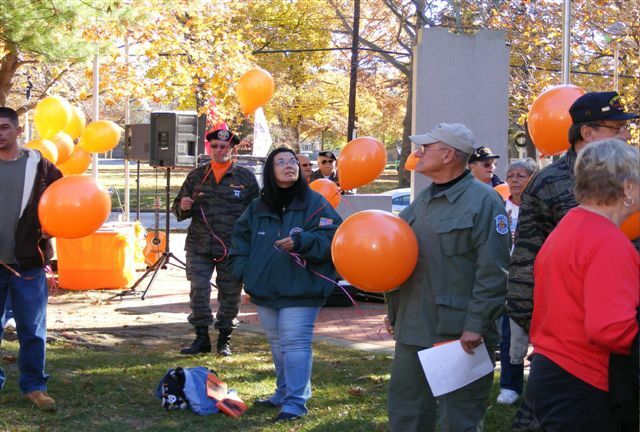 On Saturday November 6th The Agent Orange Quilt Of Tears, The Veterans Guest House & The Patches Walk worked together to bring awareness & help for Veterans. 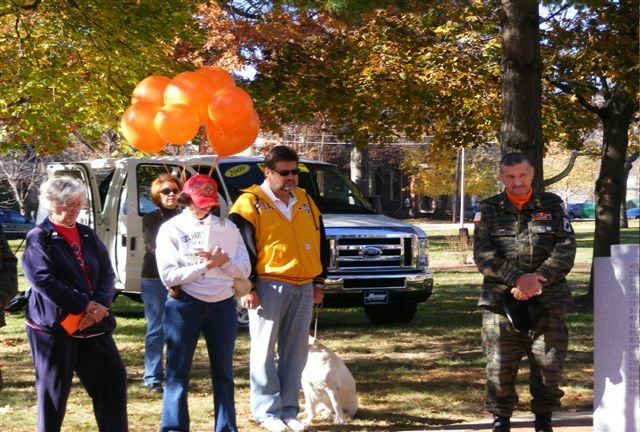 left to right: Noreen, Henry, Shelia, Steve & Rick. 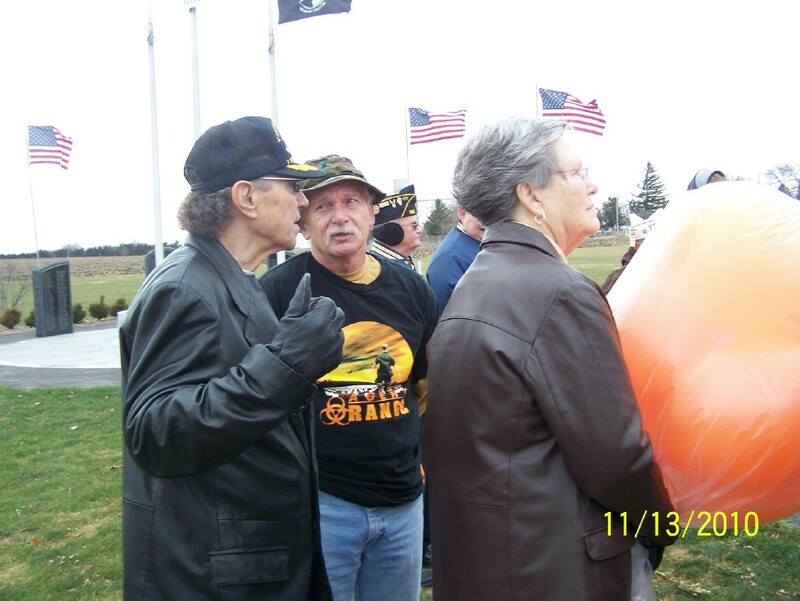 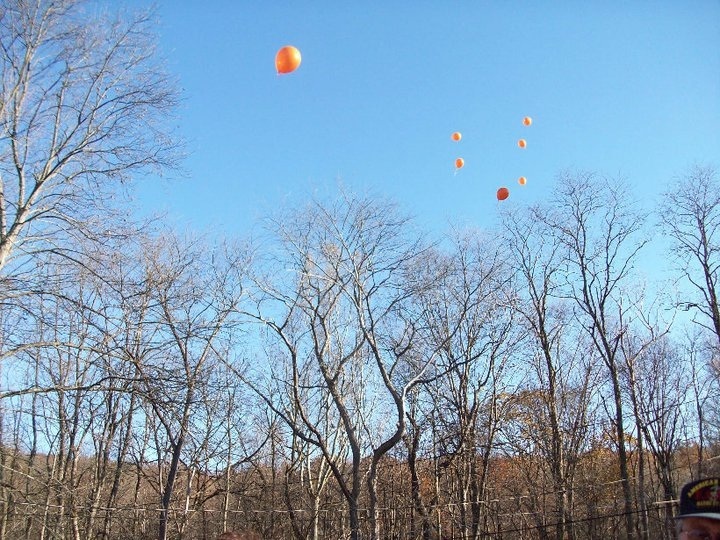 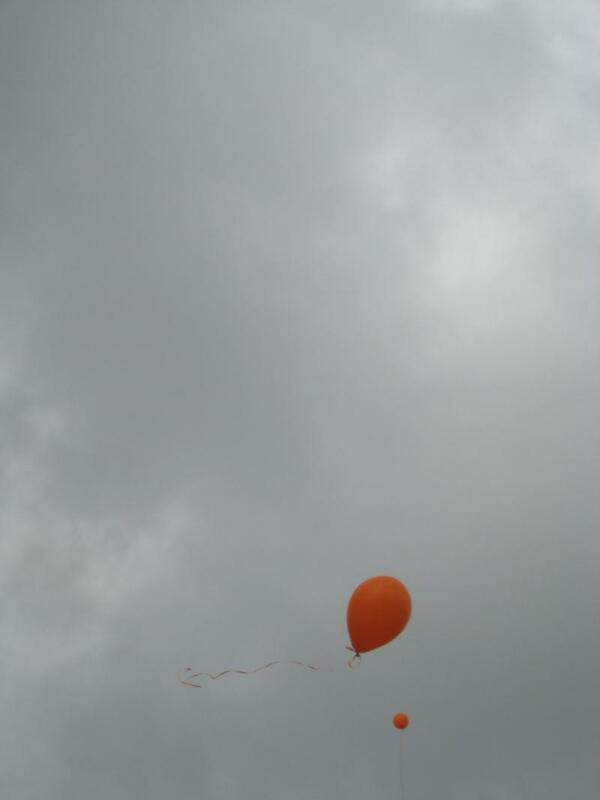 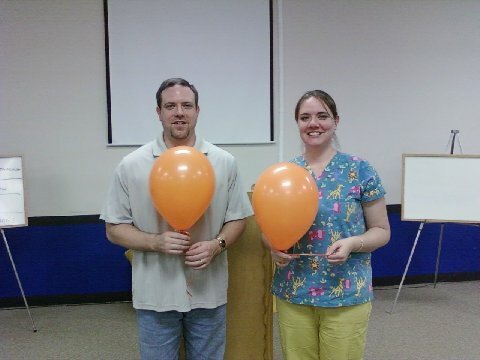 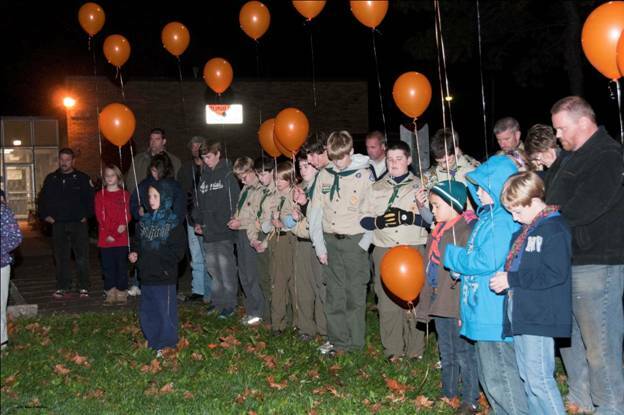 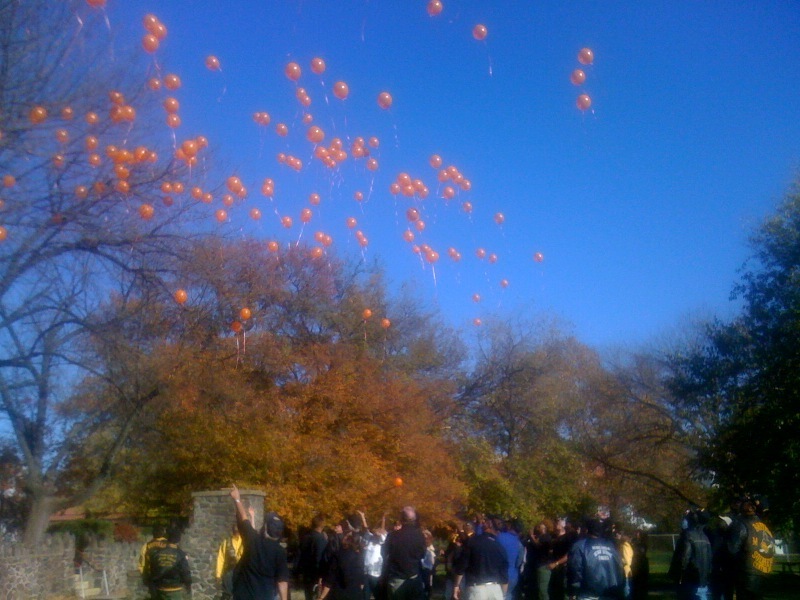 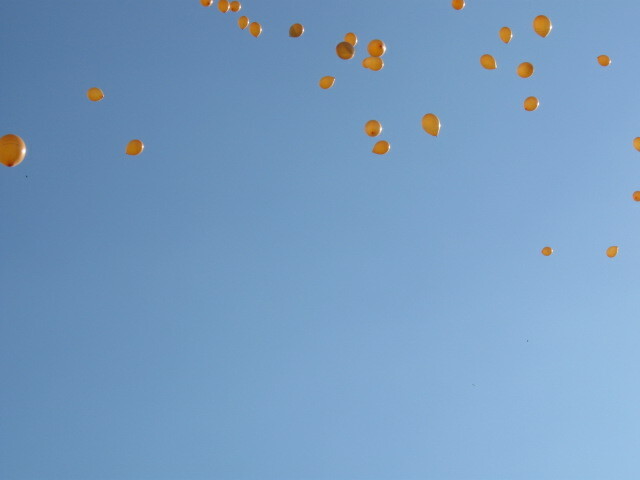 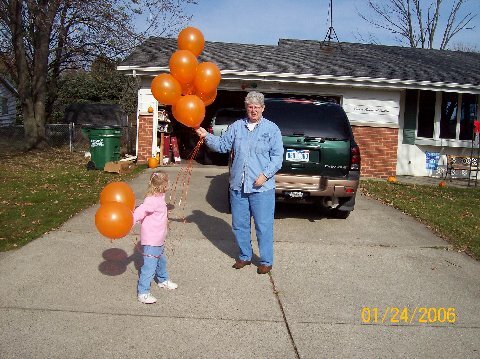 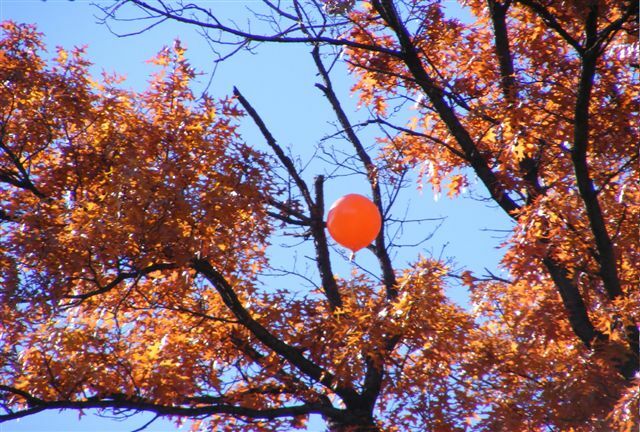 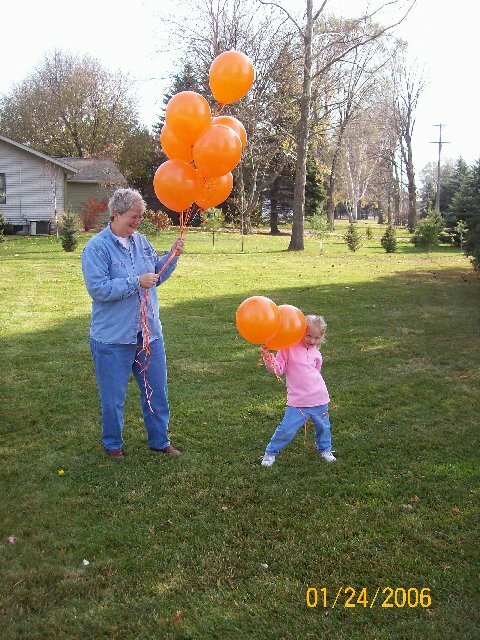 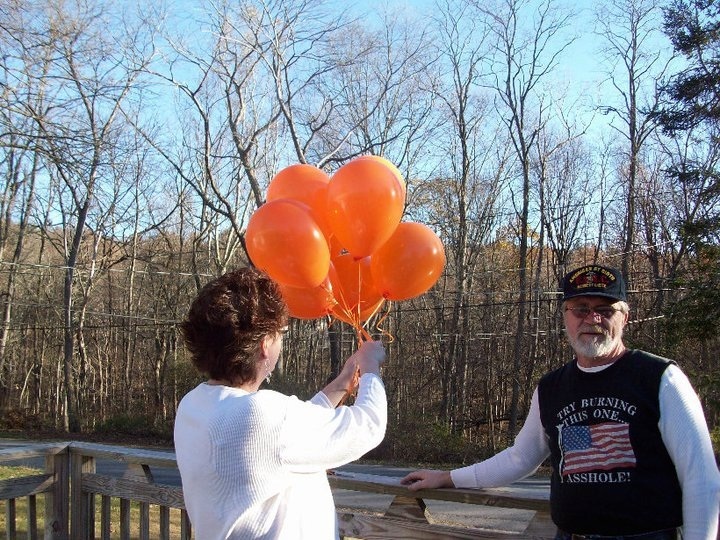 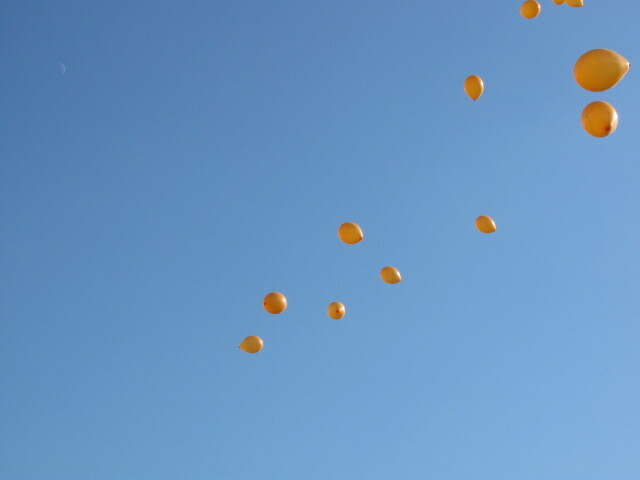 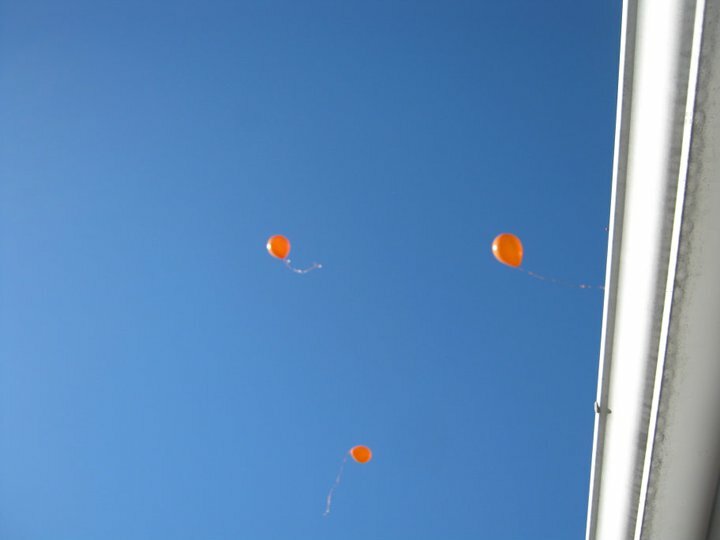 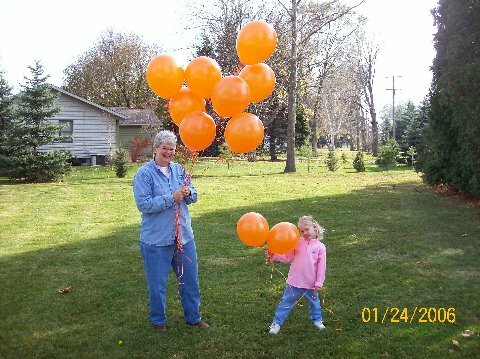 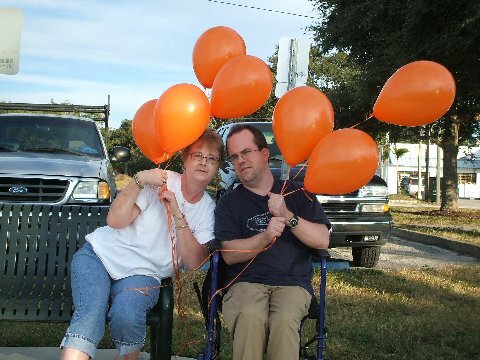 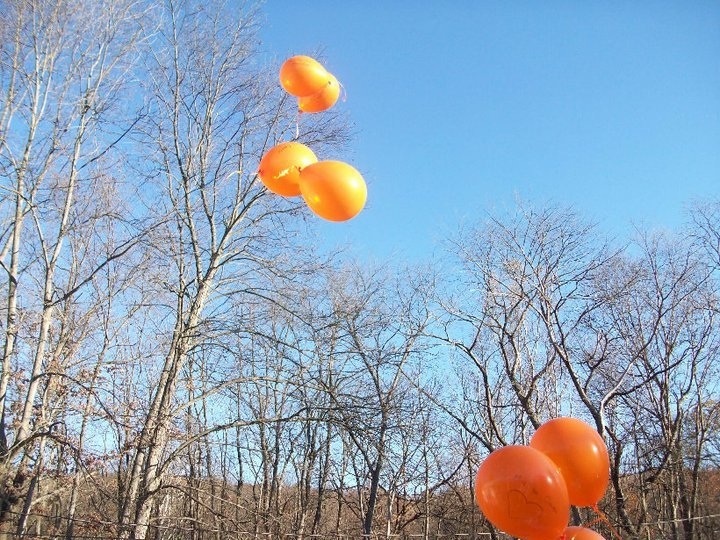 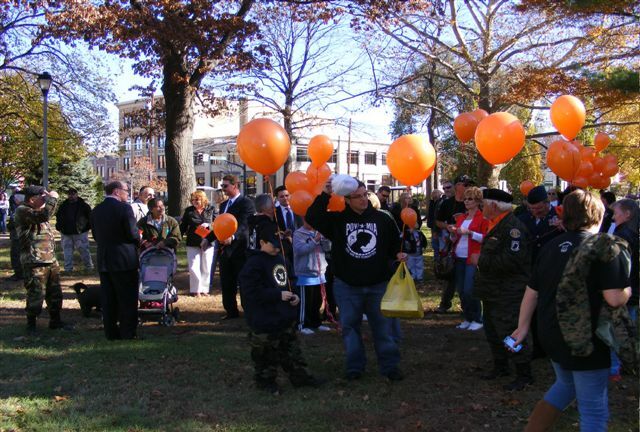 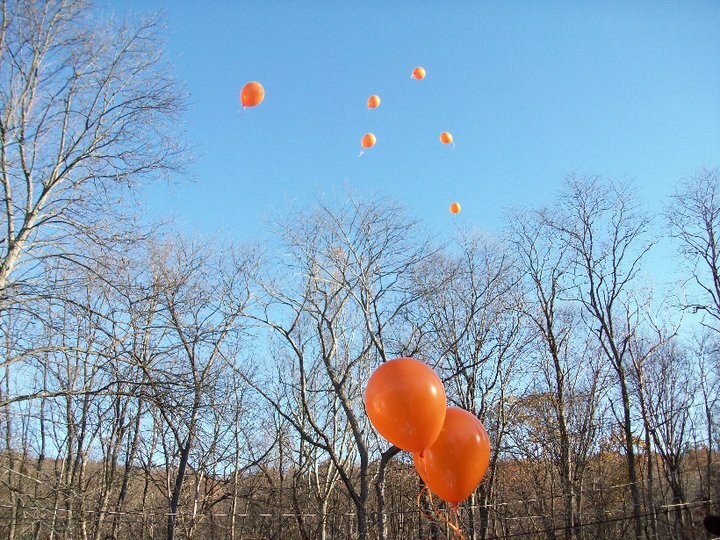 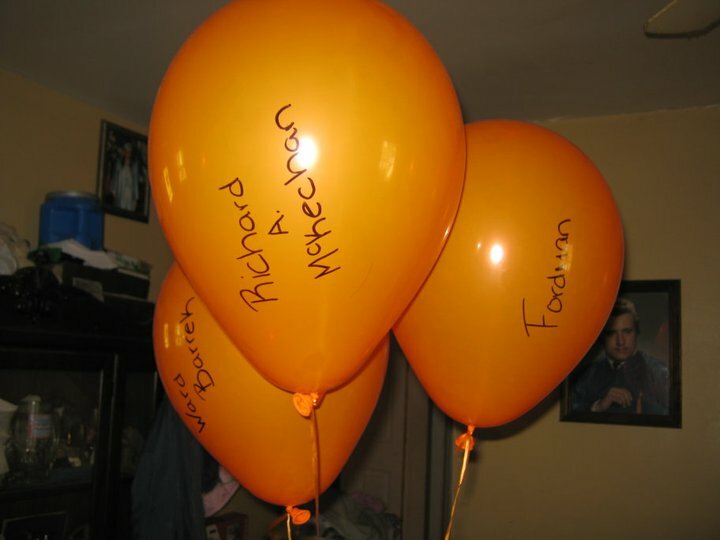 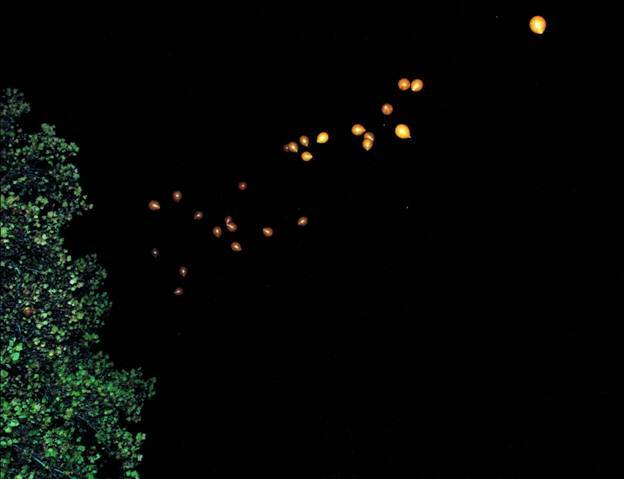 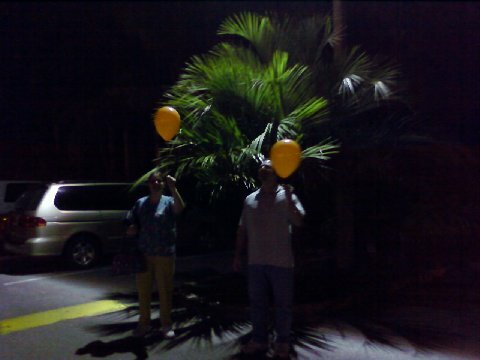 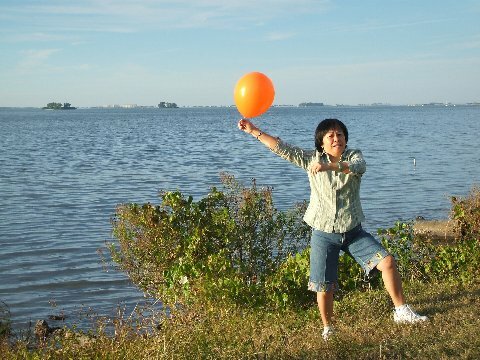 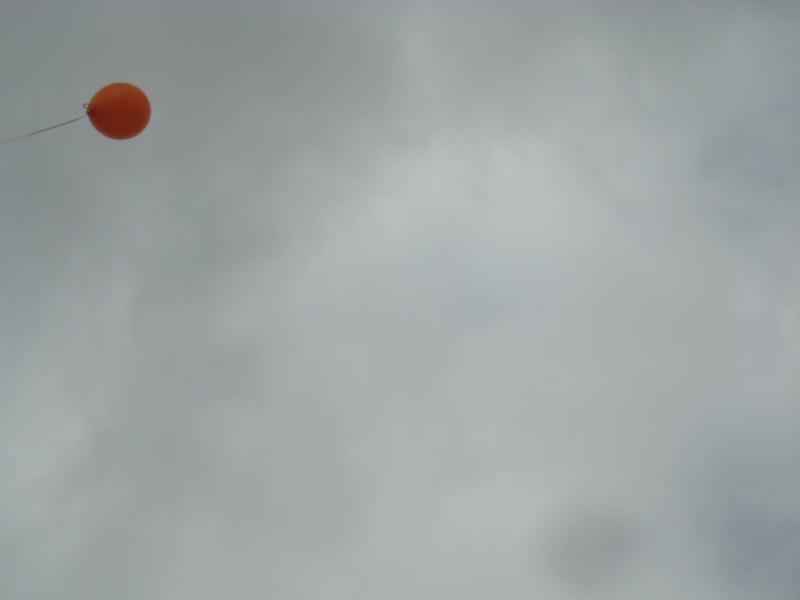 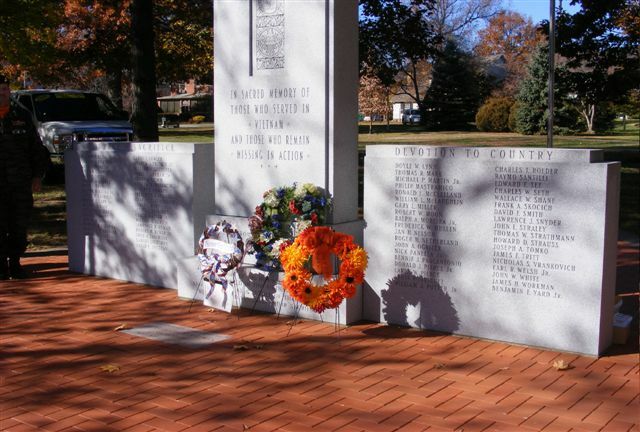 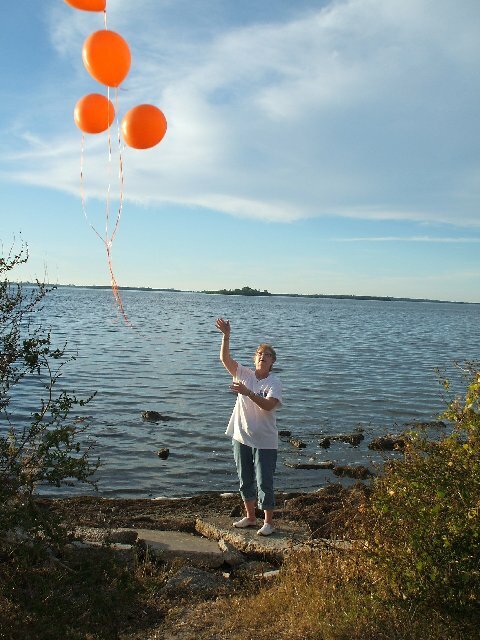 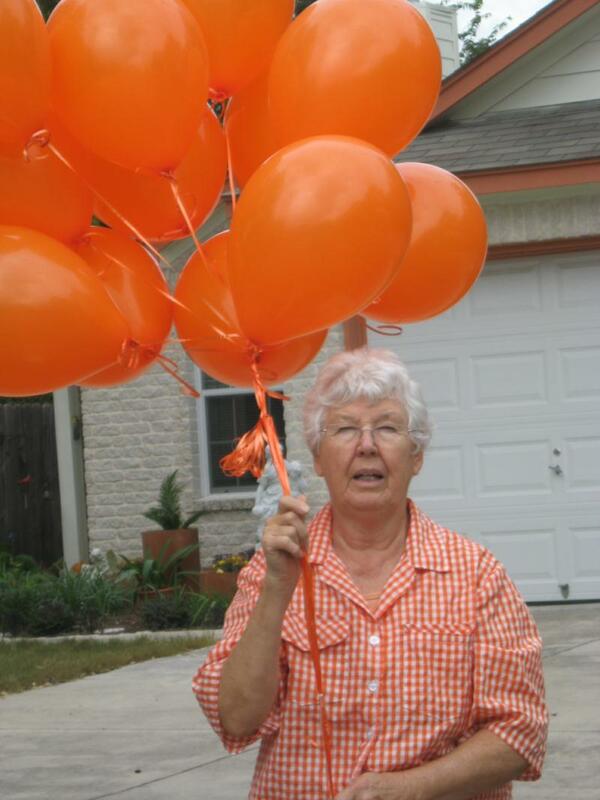 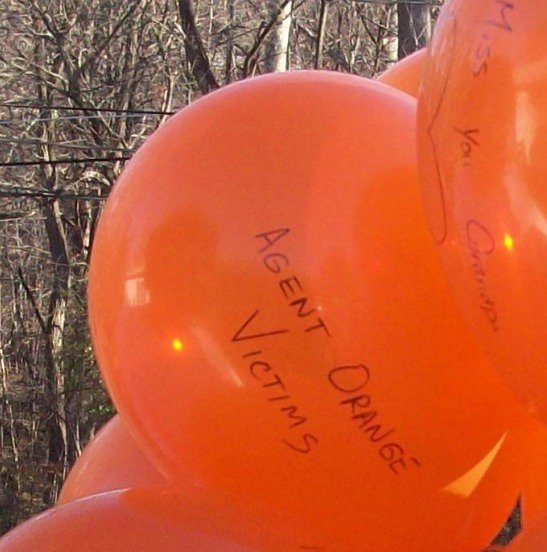 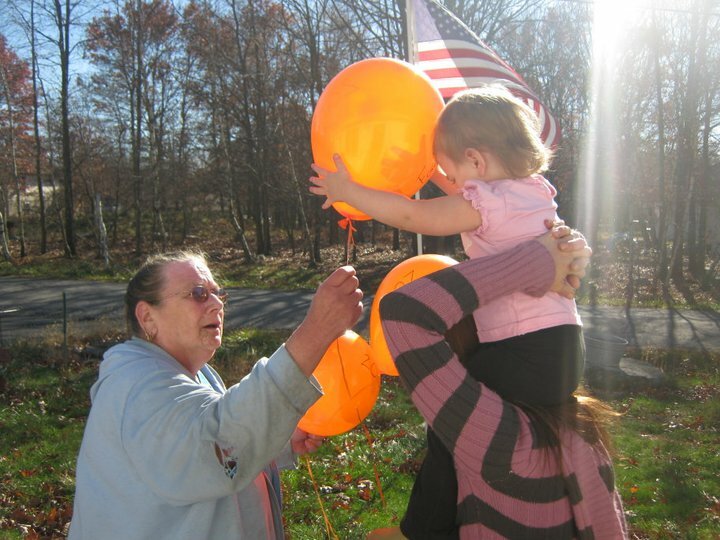 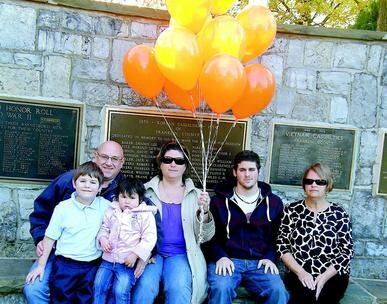 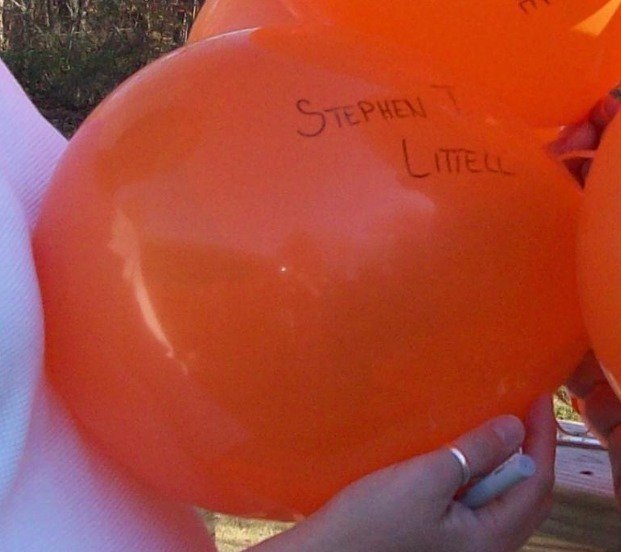 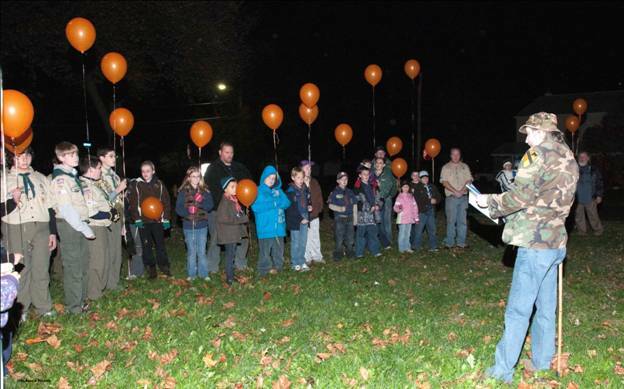 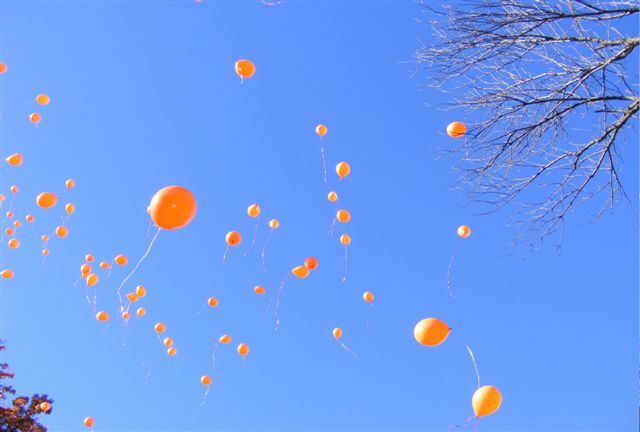 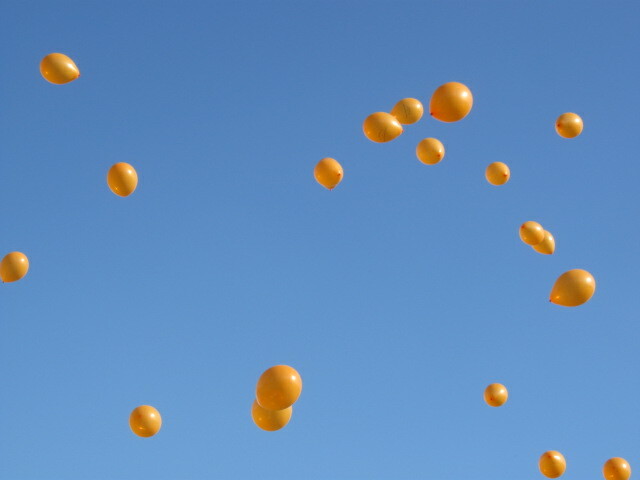 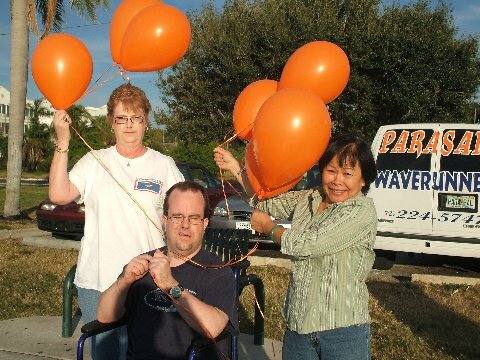 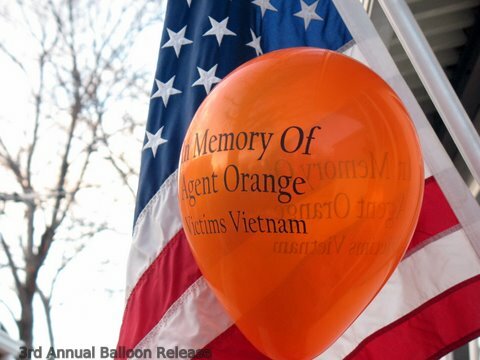 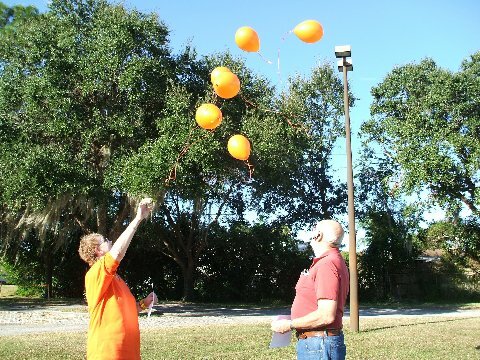 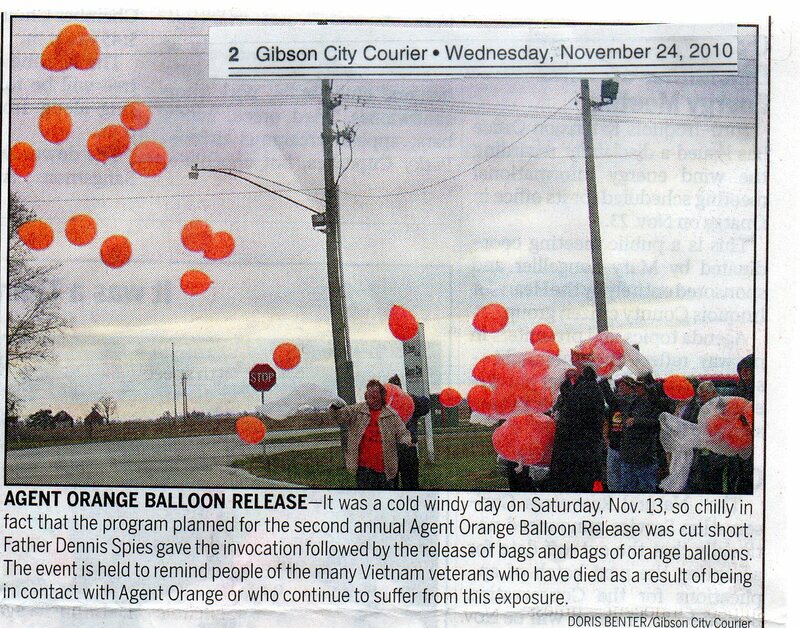 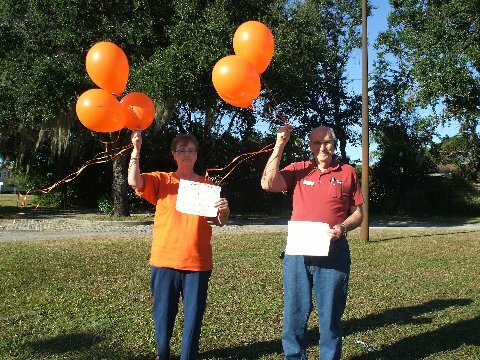 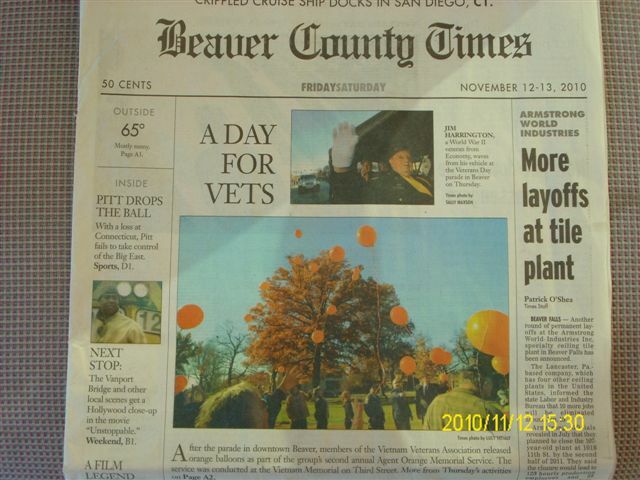 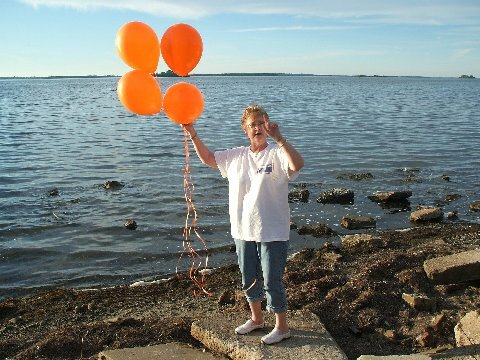 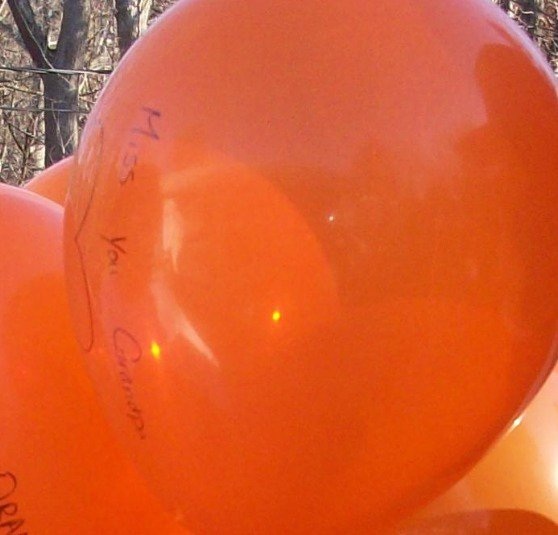 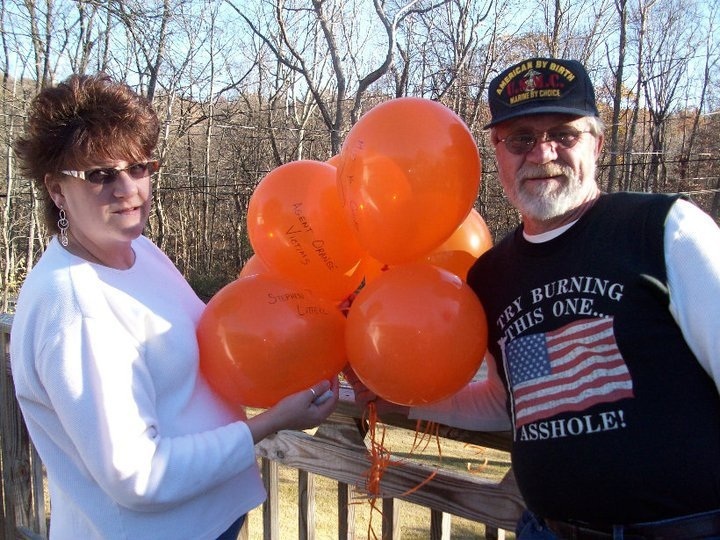 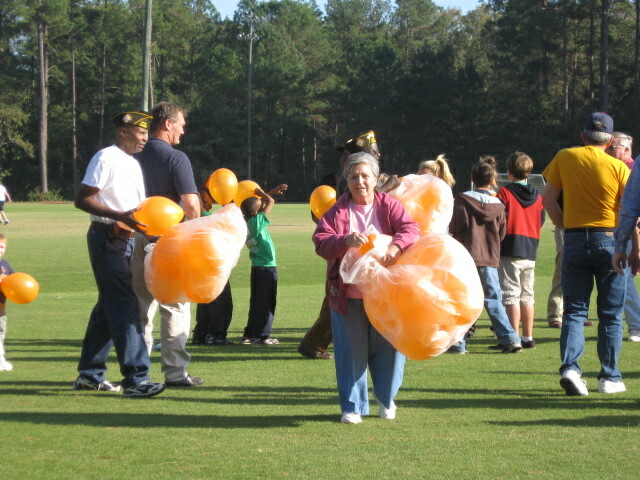 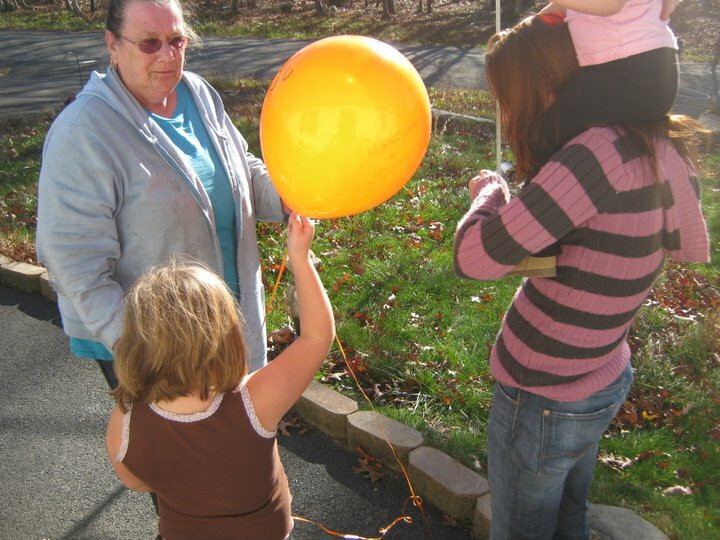 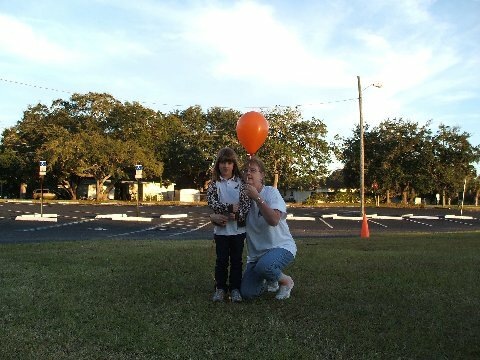 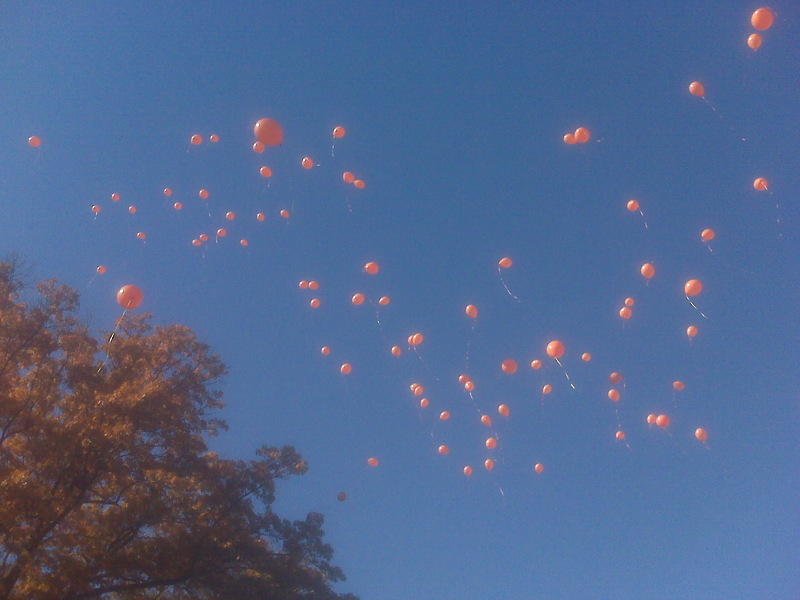 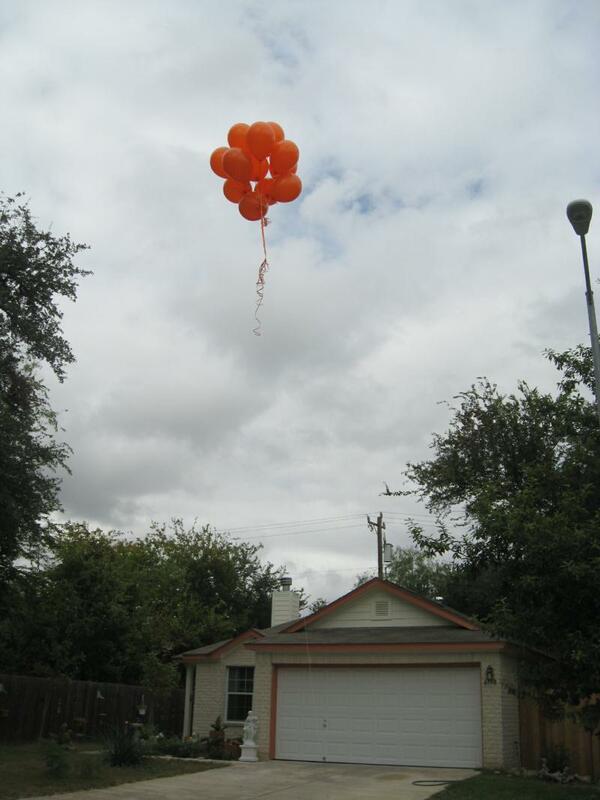 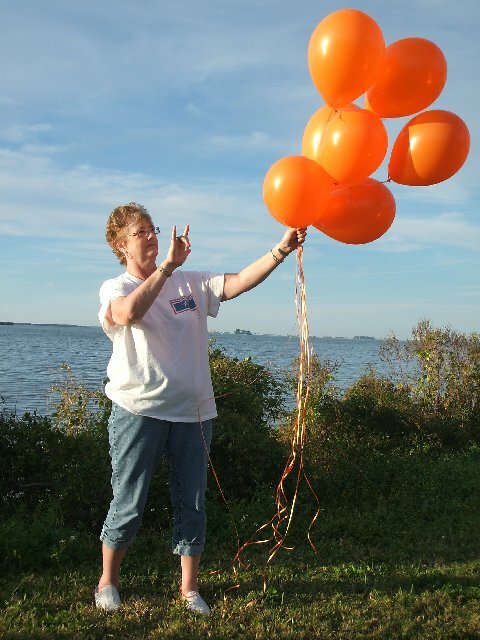 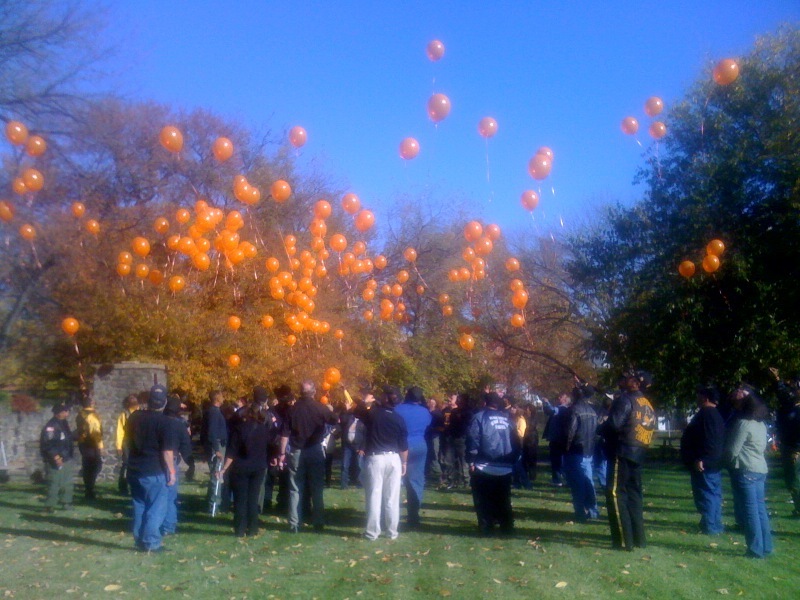 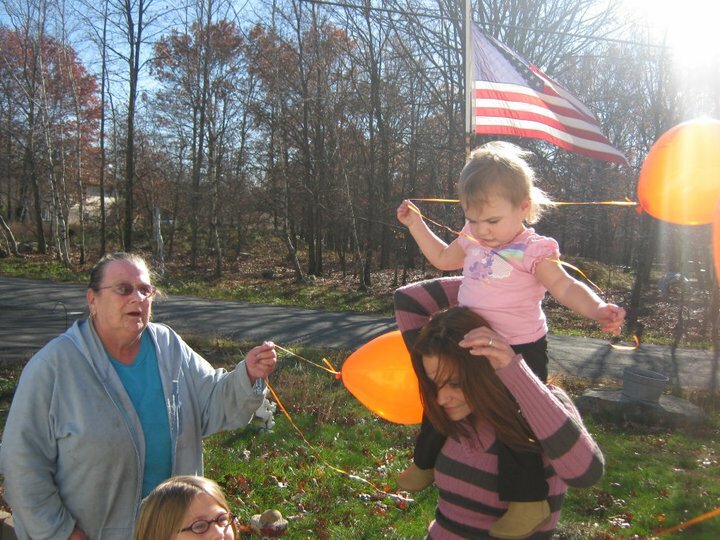 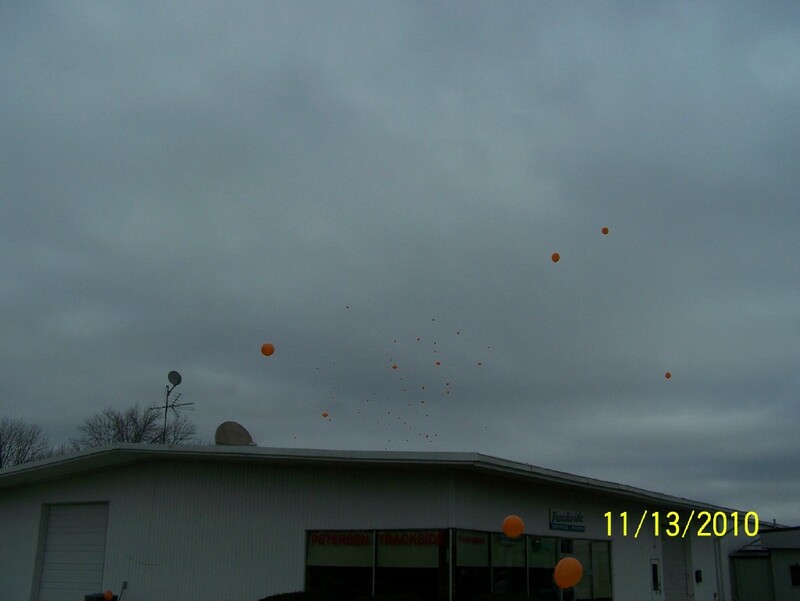 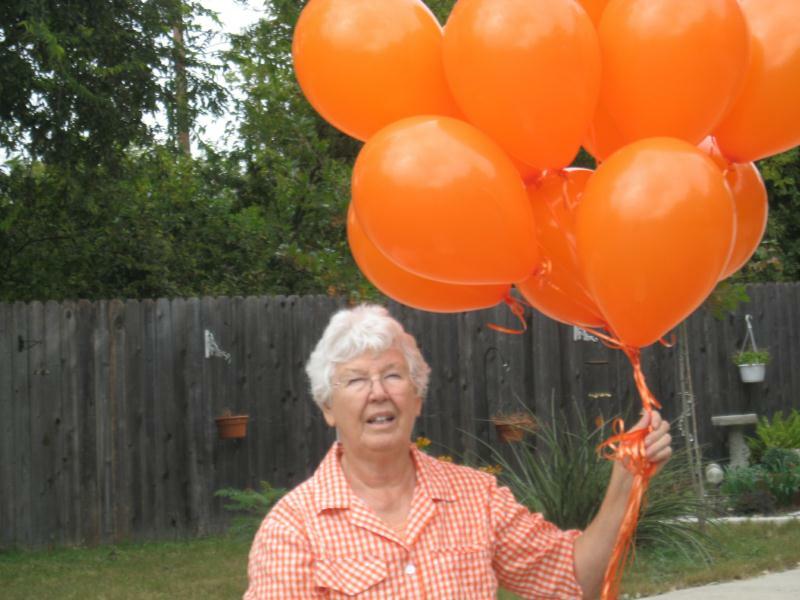 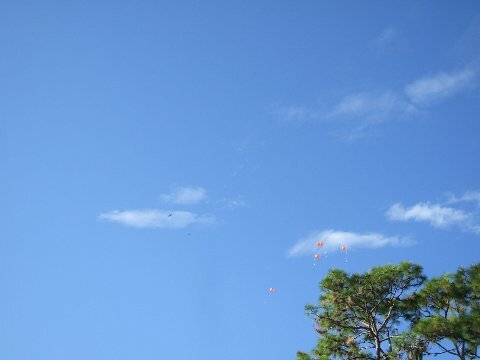 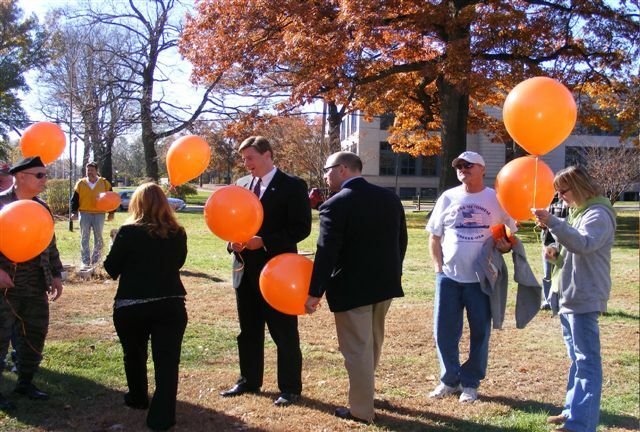 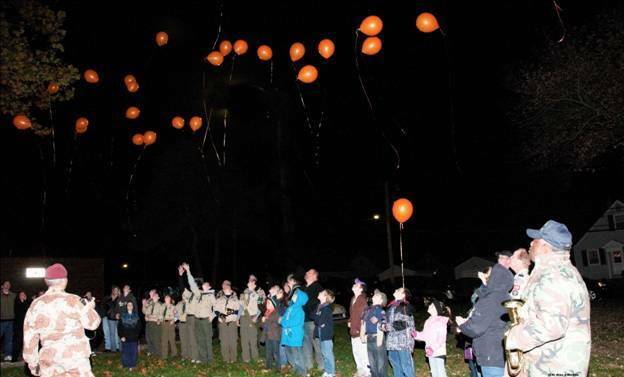 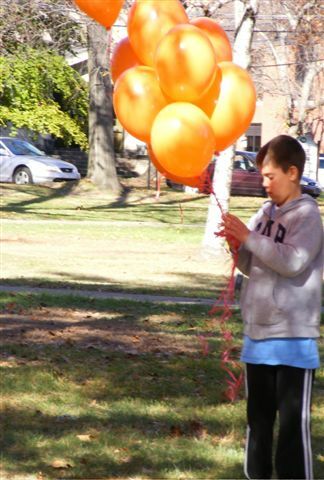 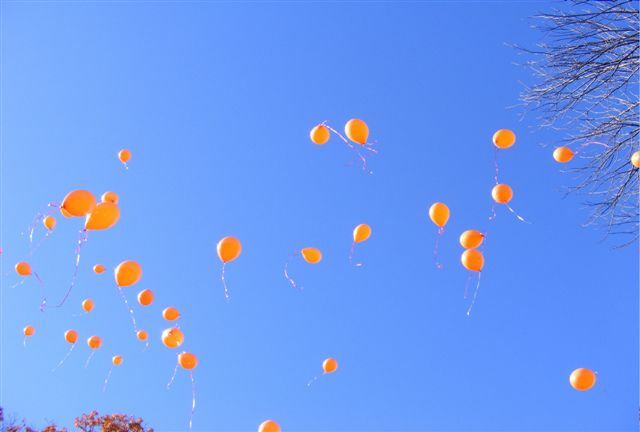 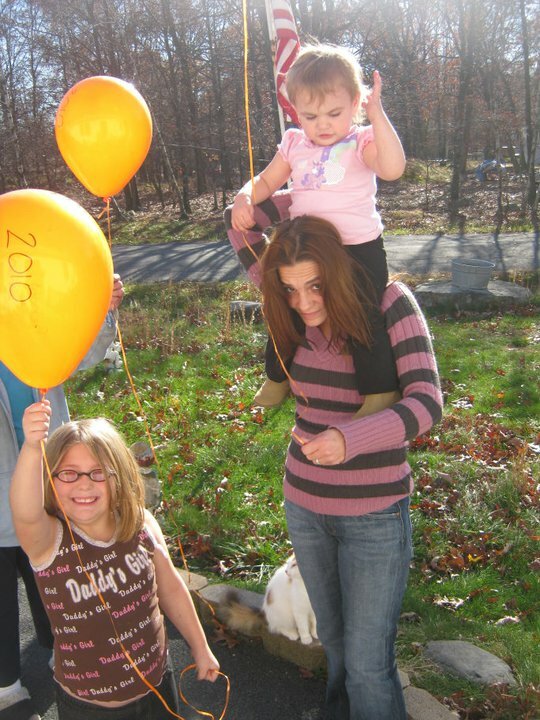 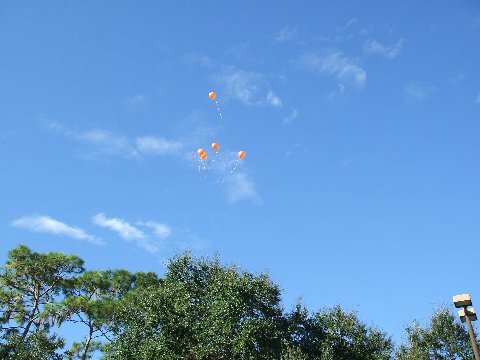 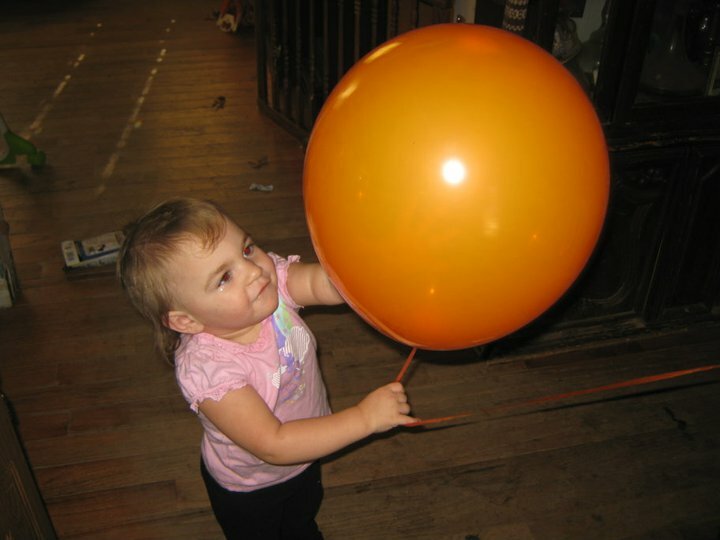 Pennsylvania VVA/AVVA participates with a "Virtual Balloon Release" this year which raised funds to further the work of remembering our Veterans & their families affected by Agent Orange. 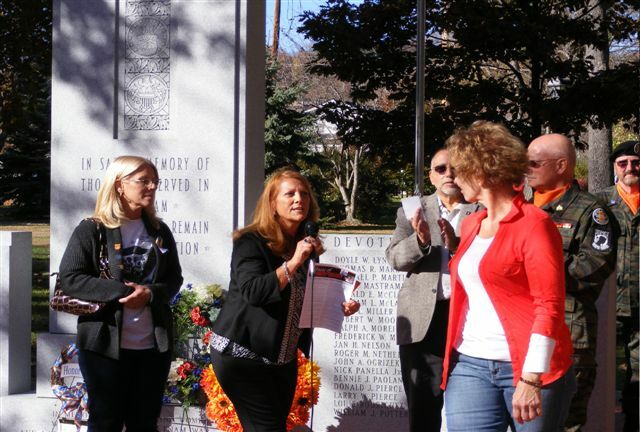 Thank You Pennsylvania!